We excel in providing our customers with high quality Coupler Fittings, which are manufactured following world class standards. These are appreciated by our clients across the globe because of its superior performance and long service life. Further, we offer coupler fittings in various dimensions, so that we can cater to the specific requirements of our clients. Pressed Double Coupler are used to connect two scaffolds at right angles. These critical components reinforce scaffold structure and can bear heavy load to disallow slip & distortion of the structure. The design is supported by a strong one piece body with T-bolts and flaps that can be easily removed for replacement or maintenance. 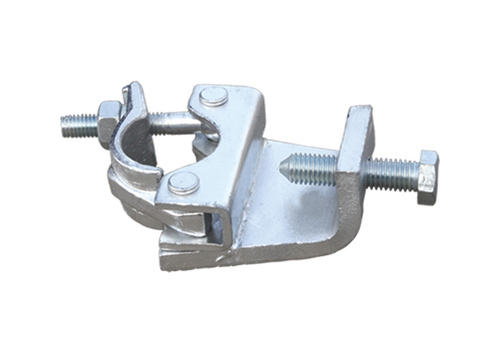 We offer our clients Pressed Swivel Couplers that join two scaffold tubes at any angle to provide a ledger brace, faced or similar bracing. 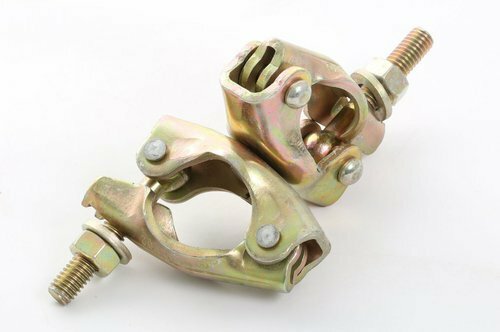 Mild steel is used in manufacturing the swivel couplers to add to their strength and durability. Further, these are fine in finish, corrosion resistant and are designed as per prevailing quality standards. 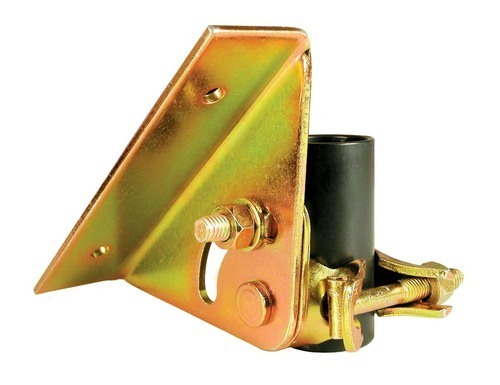 Additionally, this Pressed Swivel Coupler is also used as ledgers or props for diagonal bracings. 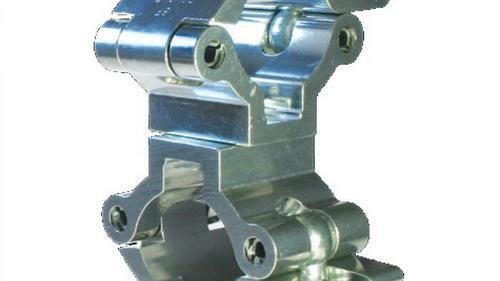 Maini Light Weight Double Coupler is used to connect scaffold tubes at right angle to each other. 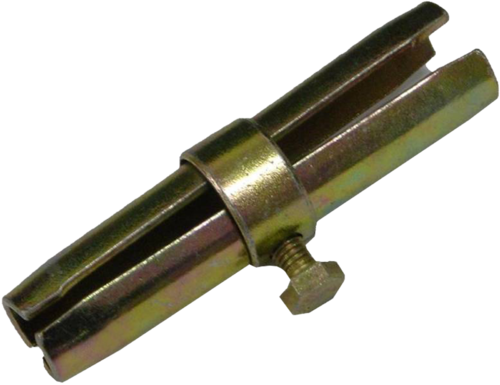 These right angled couplers are used for 40 X 40 mm N. B. Pipes and 40 X 50 mm. N.B pipes. 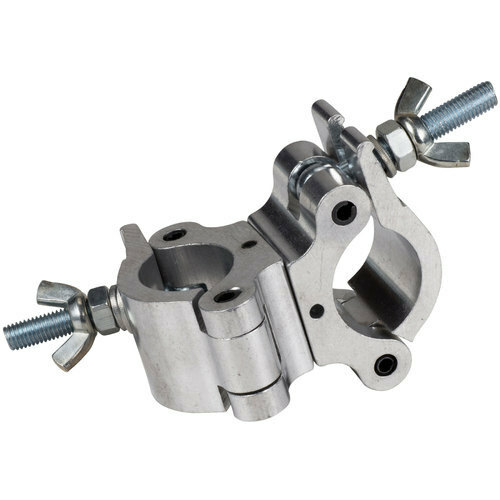 We bring in for our clients Light Weight Swivel Coupler that are used for connecting two scaffold tubes at any angle to provide a ledger brace, faced, or similar bracing. 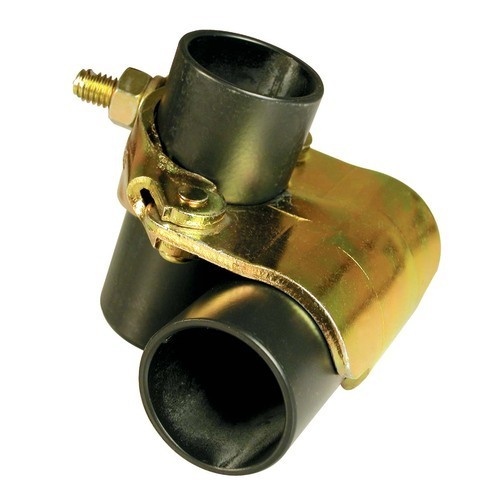 These Swivel Coupler offered by us is available in varied dimensions as per the needs of the clients and is easy to handle. 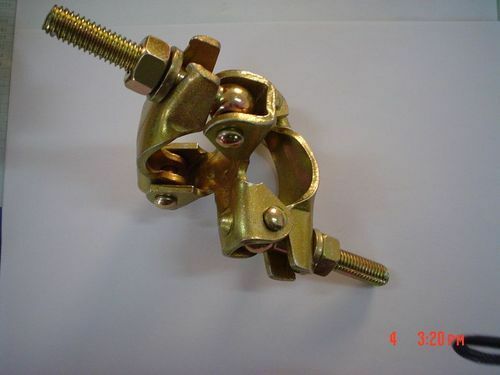 These enable two tubes to be connected together at any angle and are used in cross bracing and are widely used for clamping scaffold tubes in any angle. Sleeve Couplers are used to connect two scaffold tubes at both the external ends. A steel divider positioned centrally enables equal infixing of each tube. They can be introduced where the tension joints are required and therefore are particularly used with ledger tubes and long bracing. 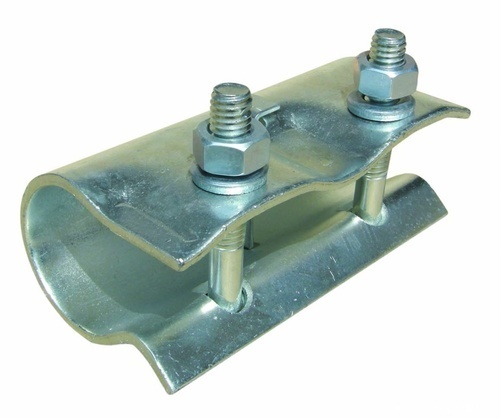 The Girder Coupler is used to connect scaffold tubes to girders and other steel sections which demand a specialized fitting with a high degree of performance. The Gravlock Girder Coupler has been especially designed to fasten either horizontal or vertical flanges, and can accommodate up to 43mm (1 ¾'). 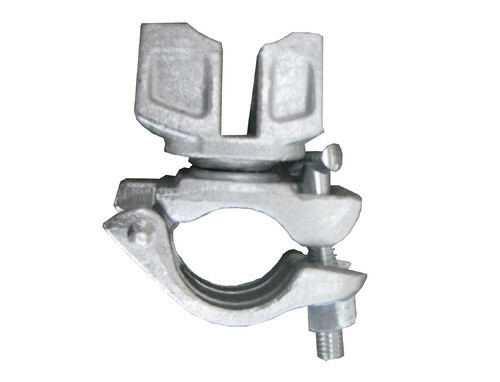 Gravlock Coupler can be effectively used for erection; it allows the fitting to be bolted to the girder first, and leave both hands free to present and lock the tube. The fittings are made only for the compression joints, and it should not be used where tension can develop in the tubes. Provides end to end connection of scaffold tubes. Operates by being inserted internally and expands to apply grip against the inner walls of the tubes. The fittings are designed only for compression joints, and should not be used where tension can be developed in the tubes. Avail from us Putog head adopter that is used to modify a scaffold tube into a putlog, ensuring the maximum use of short lengths of tube. These are widely known for its long life and durability. These are forged, pressed and machined steel components finding usage in Automotive, Railways, Bearing, Heavy Fabrication, Scaffolding, form work and construction industry. It helps in converting 48.4mm scaffold tube into putlog for insertion into brickwork joints. It is as per BS1139 part 2 1982 – SWL to BS5973 standards. The coupler connects putlog or transom tubes with the ledger tubes to the support of scaffold boards. The molded one piece body has been press-formed and designed to render the maximum resistance to movement. The Putlog Coupler has a long working life.